NICE AND EASY: What is oscillation? …that’s oscillation. Oscillation also describes what a pendulum does in an old-timey grandfather clock. or (for some weird reason) this cat. Oscillation isn’t a bad thing. It’s actually the basis for all sound, music, and clocks. But in one case, oscillation is bad. That’s in cell boosters. When we talk about oscillation in cell boosters, we’re talking about wild, destructive swings back and forth in power levels. This is caused by feedback. If the signal from the booster’s indoor antenna is too strong, or if the indoor antenna is able to pick up signals from the outdoor antenna, that starts to cause dangerous oscillations as the signals build on each other. In the very early days of cellular boosters, oscillation was a big problem because it would spread from one booster, to the tower, to the whole system. There was some very legitimate fear that oscillation from one cell booster would bring down the whole cellular system. Luckily, that didn’t happen. Smart people got together. Every cellular signal booster registered with the FCC carries some serious computing power designed to prevent oscillation. The system monitors itself several times a second and if it detects anything that even seems like oscillation, the power is automatically reduced until the problem goes away. This is true of the least expensive booster or the most expensive one. Do you need to do anything to prevent oscillation? The best way to avoid oscillation is to make sure your outdoor antenna and your indoor antenna are as far away as possible from each other. I recommend that the outdoor antenna be 15 feet higher than the indoor one, and that there be about 30 feet of horizontal separation between them. That’s not always possible in a smaller house but if you follow that guideline as best as possible you’ll get the best cell service that you can. 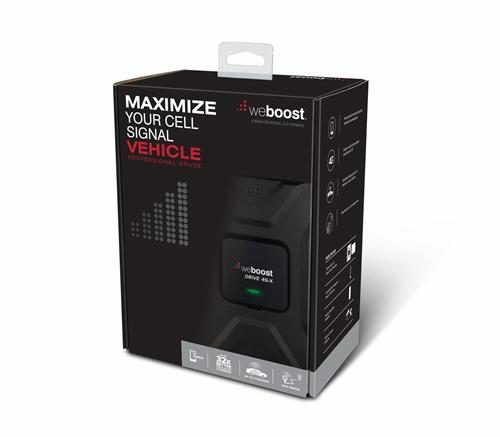 To find the cell booster of your dreams, shop the great selection at SolidSignal.com. When will we see 5G phones?